Why sit in traffic on the highway, when you could be relaxing under the waterfall in your own backyard. Try to keep your family and friends away when it’s time to entertain. It will be impossible, but you’ll love every minute of it. The possibilities are endless when you take a step back and let us help you bring your dreams into reality. Landscape Elements: flagstone patio, flagstone walkway, pool coping, retaining wall, steps, wood deck, waterfall, pool grotto, armour stone boulder work, garden beds with perennials and shrubs, tree planting, grade and sod lawn, cedar custom privacy screen, stepping stones, jumping rock, landscape lighting. A stunning transformation of form and function that finally allowed the house to fit in with its surroundings. The materials echo the surrounding environment and the mix of both native and ornamental plants provide beauty and interest while requiring less maintenance. 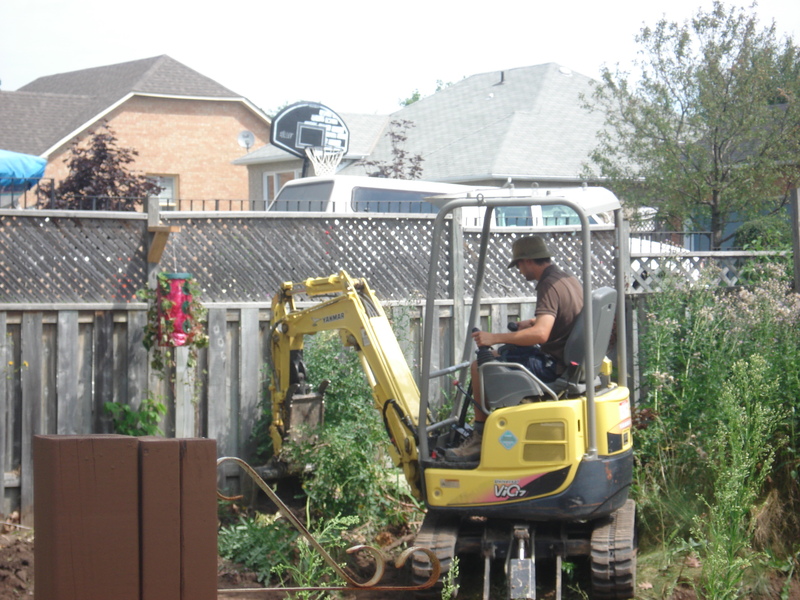 Landscape Elements: interlock walkway, precast steps, staircase, driveway banding , tiered gardens, armour stone boulder work, garden beds with perennials and shrubs, tree planting, landscape lighting, drainage systems. From abandoned and outdated, to warm and alluring. The natural beauty of the surrounding directed a design that creates many beautiful views. Outdoor spaces to relax, entertain and enjoy. An inviting front entrance captures your attention and helps ground the house to the land. This project brought the scale of the landscape up to the scale of the house. Inspiration was taken from the stone facade of the house to select appropriate materials in the landscape. Landscape Elements: interlock walkway, interlock driveway insert, raised planter, faced porch, armour stone boulder work, garden beds with perennials and shrubs. A timeless design that could have been built yesterday or even 200 years ago. Natural indigenous materials erected into a structure that is both powerful and refined. Reclaimed barn beams create the ceiling of this quiet space. Landscape Elements: flagstone patio, stone columns, wood pergola, armour stone boulder work, garden beds with perennials and shrubs, tree planting, grade and sod lawn.